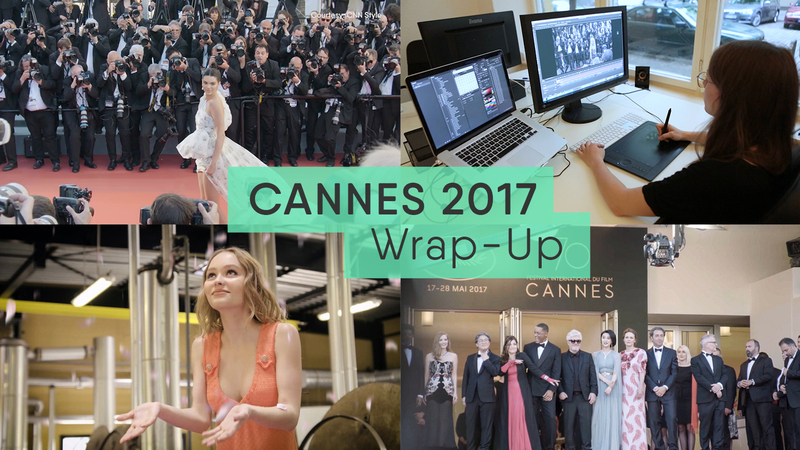 Perhaps you saw them across your social media feeds – our cinemagraphs of the 70th Cannes Film Festival in collaboration with CNN Style! Although the festivities have come to an end, the gallereplay team is still basking in the afterglow. Read more about our experiences. The Cannes Film Festival is one of the biggest media events of the year. The annual festivities attract many celebrities and receive a great deal of press coverage. Our partnership with CNN Style around this year’s festival, presented the perfect opportunity for us to spread the medium to a broader audience! The CNN Style team was on location throughout the duration of the festival, capturing footage of interviews and striking red carpets moments, which was then sent to gallereplay. The challenge was to craft these videos into captivating cinemagraphs! The post-production process was the perfect opportunity for the gallereplay co-founders to put their knowledge and expertise into practise! It was definitely a battle against time, but Lydia and Marco managed to create a series of engaging cinemagraphs. The transformation from video footage to living photos! The final cinemagraphs were then published on both CNN’s and gallereplay’s social media channels and website. How did digital audiences respond to the cinemagraphs on social media? The Cannes 2017 cinemagraphs triggered many different reactions. Some people were left confused, while others experienced the cinemagraphs as “funny” or “fascinating”! Charlize Theron during the Chopard Trophy Awards. Moonlight actress Naomie Harris during the interview with CNN Style. Nicole Kidman striking on the Cannes red carpet! Altogether, the collaboration with CNN Style gave us not only the opportunity to spread the word about the medium, but also a chance to convince more people of its unique and memorable qualities! Are you interested in a similar project? Check out our custom creation page and tell us about your needs!